Now we have 3 types of kneeboard. Easy fun kneeboard for beginer wter kneeboard for professional player and Muliti-Purpose kneeboard for kneeboarding, wakeboarding and skiing. If you want to develop a new design kneeboard. Please contact us freely. 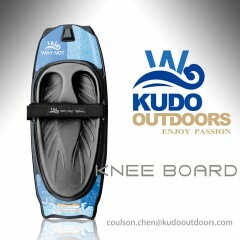 We can work together to develop a new mold for Now we have 3 types of kneeboard. Easy fun kneeboard for beginer, Hit Water kneeboard for professional player and Muliti-Purpose kneeboard for kneeboarding, wakeboarding and skiing. If you want to develop a new design kneeboard. Please contact us freely. We can work together to develop a new mold for kneeboard..